These following food is recommended for doves in general. Some of it can be provided as the main course while the rest can be treated as complementary foods. Each food might provide particular benefits to dove’s health. It’s very important to promote a balanced diet by combining this food. This food includes cracked corn, cereals, oat, wheat, barley, rye, peas, pulse, vetch, and seed mix. Doves are lovely and attractive birds which are widely welcomed in most backyards. You can gain relaxing, soothing and calming feeling just by seeing dove birds in your backyards. There are actually more than 300 species of doves in this world. Doves are loving and romantic and many people have been attracting them as the all year-round guests in their homes. Wild Doves are little slimmer than pigeons and are about 12 inches in length. Mourning Doves are different color, have a soft gray-brown slimmer body and a gray patch on the bird head. Black dots are found on their wings and a single black spot can be seen behind and below the eyes of these birds. When perching you'll see a long tapered tail showing. In flight dove tail has a white-edged shape and color. Best Dove Food & What do Doves Eat? 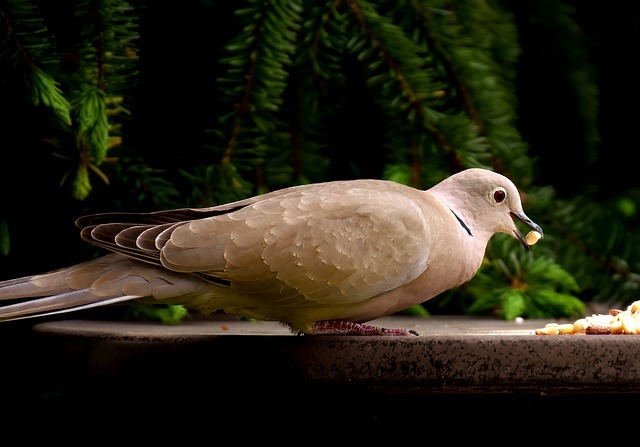 Either you want to attract or keep pet doves in your backyard, you need to put concern on what do doves eat and how to feed them. In fact, pet doves require a more specific and serious efforts to keep them healthy. It is not too hard to keep doves as pets if you just know how to provide them with a natural diet. Doves will also come happily at bird feeders and you can attract them easily. If you provide Pigeon & Dove Seeds on the platform these birds will be your everyday visitors. They like white millet, safflower and cracked corn. Pigeons will come too if this food is provided and maybe other birds. This food is also great for pet doves. According to most wildlife centers, it is easy to find out what doves eat and provide them with a correct diet. Naturally, doves eat variety of seeds, grains, greens and fruits. Depending on the type, doves may also swallow fine sands or gravel to support their digestive system. When doves have problems finding normal food ingredients in the wild they might occasionally eat snails, earthworms and insects. However, doves don’t usually eat insects in nature as they are vegetarians. Your pet doves wouldn’t normally eat such ingredients in the aviary. Doves and pigeons are best fed on a platform feeder. You need to ensure balanced diet for these birds without exception. As previously mentioned, doves naturally eat seeds and grains like wheat, millet, corn, sunflower and milo. However, pet doves shouldn’t only eat grains since it can lead into calcium deficiency in the longer term. The seeds should be no more than 50-60% of the total diet. Today, you can find formulated seed Pigeon & Dove Food which are widely available in the commercial market. It doesn’t only contain seeds but also vegetables as well as various source and vitamin sources. These formulated diets are available in several variants following the needs for breeding doves, resting doves and performance doves. Oats - Your doves might not like the taste but oats are recommended in moderate doses and they are good for their feathers. Oat provides important nutrients for the pigeons so they can survive winter. It also improves their blood and nervous system. Keep it in a small amount for pigeons that are laying the eggs. Cereals are one of the best food and must be the main component in pigeon and dove diet. They are important for growth when raising young. Cereals contain and are full of 70% carbohydrates, 8-12% protein, 3-8% fat and 2-4% mineral - great food for doves. Cereals are full of vitamins E and B but somewhat poor in vitamin A (corn is an exception, as it contains vitamin A in its component). Wheat is highly appreciated by pigeons and doves, but must be given in a smaller quantities compared to other food. As it is rich and full of carbohydrates, doves can become “fat” and have problems. Keep the wheat in the dove diet at lower amounts. Corn is also much appreciated food in doves’ diet and can be given every day. Cracked Corn has a very high energy value that makes it good when birds are having young. It is rich in proteins and carbohydrates and this will help the doves’ digestibility. The corn has a high caloric value so don’t overfeed the doves with corn. This reduces the chance of “fat birds”. Barley - Like oat, Barley is a recommended ingredient for dove diet during cold weather. However, Barley is for adult birds only since the young ones can’t digest it well and could be harmful for them. For adult doves, Barley can promote digestive system calmness and reduce the diarrhea issue. A moderate dose is advisable especially in the coldest months, like January and February. Rye is a complementary ingredient with fewer nutrients in it. It is okay to give a small amount of rye to your dove’s but combine it with more nutritious ingredients like corns, wheat and oat. Peas - Pea is a comprehensive source of nutrients including protein, minerals and fats. It’s very easy to digest and promotes various health benefits for your birds. It’s good for young doves and adult doves. Pea’s consumption will reduce the fatigues, boost the immune system and promote healthy growth for young pigeons. The suggested serving is 20 percent of your bird diet. Pulse is another reliable source of protein and nutrients for your pigeons’ and doves’ diet with less fat. It also contains a high level of calcium salts and phosphorus as well as B vitamins (especially B1). Pulse is actually good for any type of birds including pigeons and doves. Vetch has a specific property to improve the nervous systems of doves. It can be a complementary food for your birds’ diet but don’t exceed 15% of the whole serving. Vetch isn’t recommended for young doves and you need to slowly introduce it to the adult doves. It’s possible that you might not be able to find all those ingredients nearby. If you desperately need such food, pigeons’ seed mix is the best solution. The manufacturers have massive marketing networks so you can find any seed mix products in most pet shops. With the practical benefits, doves’ seed mix provides substantial advantages in nutrition. Seed mix is based on the doves’ balanced diet which contains nutritious ingredients with the right proportion. Pigeons’ & Doves’ Food mix can promote a healthy and long life to your pigeons and doves. You need to offer your doves some selected greens, fruits and vegetables as the partial daily diet. It’s also important to maintain the doves’ food organic. 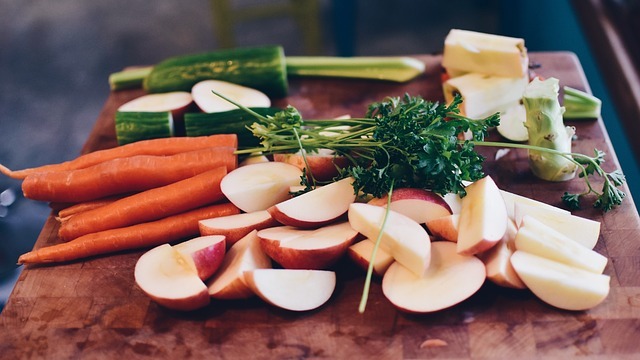 If you have a hard time finding the organic food, ensure that you wash them thoroughly to remove all harmful substances like pesticides or fungicides from the skin. The important serving rule is to cut them into eatable sizes considering the size of the doves and serve vegetables, green and fruits in separate feeder, without mixing them. Even with natural ingredients, a balanced diet should be highly promoted. That's why you need to dynamically manage their food especially when they develop a favor for a particular type. It is suggested to promote variety of food ingredients on your dove’s daily diet at all times. Your doves will love you for the veggies you give them. The birds will eat this healthy snack 4-5 times a week if you can provide it to them. This green diet is excellent to keep the doves’ body with all of the nutritional element it needs to stay strong for years to come. But keep in mind that in the wild the main diet is still seed and it’s always vegetarian type. You can buy good pigeon’s and dove’s mix food that contains all of the proper nutritional values for the normal and healthy dove. You can check quality Pigeon & Dove Food here which is full of all the right nutrition for the doves. An ideal diet of your doves could be promoted by the pellets since they’re specifically formulated and based on nutritional needs. It will work for baby doves and adult doves, but you need to maintain it at 50% of the dove’s diet to be ideal. You can easily find pellets in the various brands in the pet stores. You can consult your vet to pick the best one for your birds. Pigeons and doves need the nutritional vitamins to maintain their metabolism. Most vitamins come from food you provide to the birds. However, the internal system of the birds only absorb a small number of vitamins. That’s why additional vitamins are actually required in small quantities to ensure their sufficiency. There are six types of vitamins crucial for your doves including vitamin A, B, C, D, E, and K.
Vitamin B compounds support the vital functions of the pigeons and doves. B vitamins include B1 (thiamine), B2 (Riboflavin), B3 (Niacin), B4 (Choline), B5 (Pantothenic Acid) and B6 (Pyridoxine). Even though some grains and seeds contain some B vitamins, you can’t ensure the sufficiency especially when you provide a less varied diet. Besides, they're water-soluble so the birds can easily experience deficiency without additional consumption from external sources. The vitamin deficiency can lead to poor health issues. Vitamin C or Ascorbic Acid is usually contained in various seeds and works as a metabolic controller. If the dove’s liver is damaged, it is not able to produce sufficient Vitamin C which will disturb their metabolism. In such a case, you may improve their diet with more seeds or other external sources. Basically, pigeons and doves will produce the vitamin D as their body is exposed to sunlight. Vitamin D plays a vital role in absorbing calcium mineral in dove's body. For doves, vitamin E works as antioxidant and controls most of the metabolic functions within the cell. Vitamin E is usually contained in whole grains. Vitamin K is actually contained in green vegetable and produced along the digestive tract of the doves. Vitamin K contributes in the blood coagulation. A deficiency case is pretty rare especially when you improve your dove’s diet with the moderate serving of green vegetables. However, the overuse of antibiotics would kill all the bacteria in their digestive tract which lead to deficiency. Dove birds require more water in comparison to other birds, according to the Audubon Society. You need to ensure that your doves get a sufficient water supply. The water should be clean and fresh every day. If you’re using chlorinated water sources, you need to invest in a reliable water filtration system to remove all harmful chemicals and contaminants from the water. Otherwise, you may consider using selected bottled water. Another important note would be maintaining all the food mediums or dishes cleaned on a regular basis (daily is highly suggested). 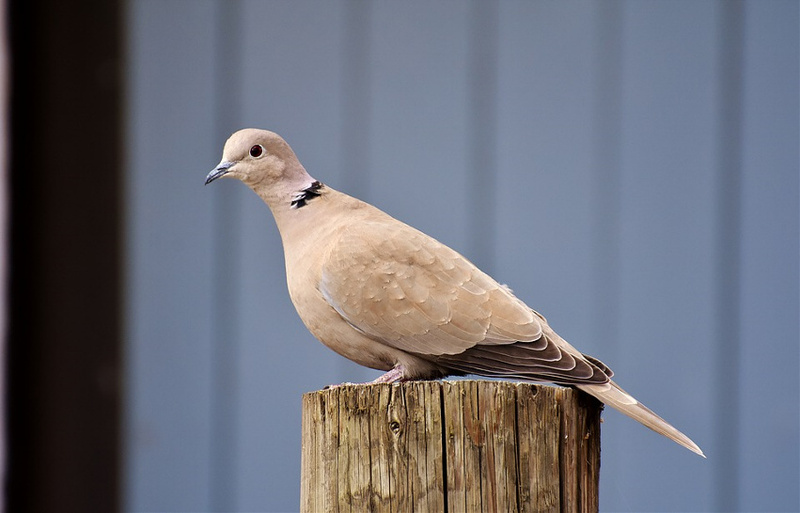 How to attract wild doves in your backyard? The simplest way to attract wild doves is by setting up a water source for them to drink and bath. Even though doves don’t selectively drink certain quality of water, you still need to pour fresh and clean water. If you’re in a watery environment, you might find this method less attractive. You can set a running water or water fountain to attract the wild doves. Otherwise, you can consider setting up a dove bird feeder instead. You can simply set a dove bird feeder in your backyard and set the seeds and grains there. Wild birds love sunflower seeds, millet, wheat and cracked corn very much. 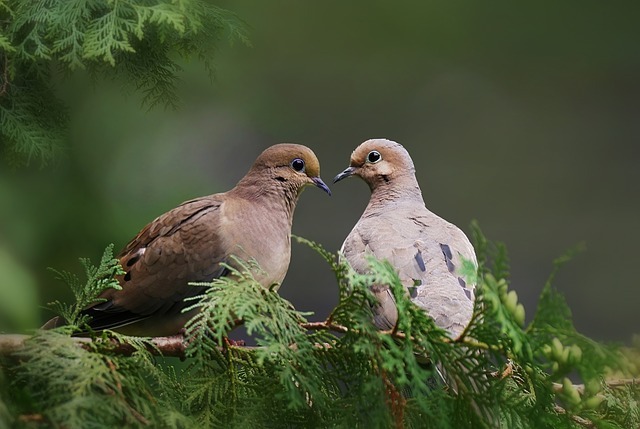 If the wild doves crossing over your backyard are the larger types of doves (for example Mourning doves), then a bird feeder platform or tray is definitely required. However, a larger bird feeder for any types of dove bird is actually suggested as these birds are bigger. The idea is to encourage the wild doves to keep coming in that set. Once the dove bird feeder has been set, load them with seed and you’ll definitely attract doves and other backyard birds. More efforts are required if you’re looking for a more intimate relation with wild doves. You may need to set up a shelter and nesting platform. The idea is to provide a convenient nest for the doves. You can simply use the natural nesting materials including dried grass clipping, pine needles, twigs and so forth. 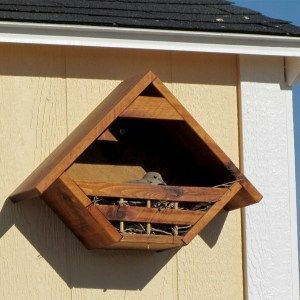 This method can be used not only for attracting wild doves but also managing your surrounding environment from messy and dirty existing wild dove nests. Once you’ve chosen this method, you need to regularly clean up the shelter/nest to prevent any diseases. Check the Lovey Dovey Original birdhouse here. Make sure that a birdhouse is away from doors, as you dont want to make to much noise, and never touch the birds as they get stressed easily and can leave the nest. If you provide food next to the nest in a platform doves will happily come and eat while sitting on the eggs and they dont have to go to far to get food when feeding young. What do young doves eat? Check the what to feed a baby pigeon section. Doves like to live in an open land and next to the trees and bushes that provide nesting places. You can find them in urban areas and wherever humans live. The only place where they don’t live is a dense forest. 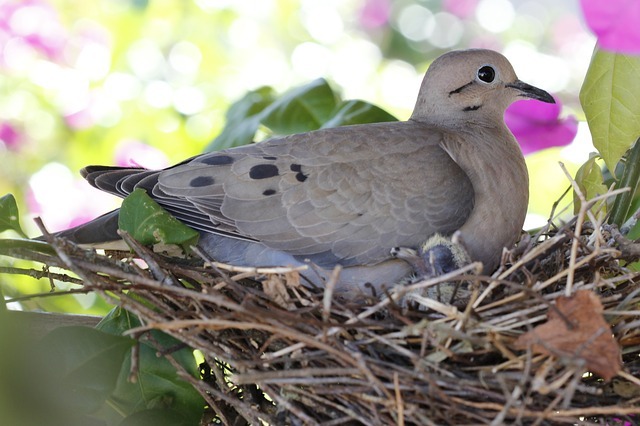 You can find doves in your backyard if you have open lawn, some trees and scattered shrubs that provide protection. If there is a source of water and bird seed, doves will be regular visitors. If you provide a nesting place dove will gladly come and nest, but they don’t like to be touched and nest must be left alone. It is a good idea to install a dove bird feeder close to the nesting site but make sure doves are not scared of you. The nesting period starts at March when nests will be build. They are made of twigs, grass and pine needles. The nest is not strong and sometimes you can see through it. Do not touch it and leave the bird to finish it alone. If the dove gets startled it can fly away from the nest and eggs can get moved, even fall out. That’s why never touch it or come near the nest. If you like to watch the bird use binoculars. Doves reuse the nest and will come back to use it more than once in one season. Breading season is from April to October. Unlike most birds, these birds tend to incubate their eggs continually. Since the male and female look alike, it appears the same bird is incubating the eggs the whole time. Doves alternate in egg incubation and will switch to go to feed. It may seem that one bird is all the time in the nest but don’t worry, they just look alike. Usually a male dose a daytime shift, and a female will come to incubate in the night. Not to worry, the switch was made while you were not looking and the birds are fine. The average dove lifespan in the wild of first year birds is 1 - 1.5 years. First year is most difficult for birds and they have a mortality rate of 60 - 75 percent and also adult birds have a mortality rate of 50 - 60 percent. For most of the wild songbird the first year is the most difficult and most mortality happens then. If these birds survive and live true their first year they can live normally up to 4 - 5 years in the wild. In captivity they will live longer. If you have doves as pets you can expect them to live longer than in the wild with balanced diet and good medical aid. Doves are great for elderly people and kids. They love humans and will bond to them easily when keept. I hope you liked this what do doves eat article and keep birding.